When choosing a single supplier, Swedish surveying firm Clinton found that the customisation possibilities offered by EIVA made for a great partnership. Together, Clinton and EIVA developed the tools necessary to meet Clinton’s unique challenges. For a long time, Clinton has used several different suppliers and platforms to perform its varied surveying work. And for just as long, this had been considered the ideal track. However, the firm was realising that using multiple suppliers was causing more problems than it solved in the form of high maintenance fees, scattered knowledge, different support teams and support cases, and transition issues. Continuing to use multiple suppliers was not a viable plan; Clinton would need to streamline and standardise to be even more efficient and innovative in the future. Choosing a single supplier is a leap of faith not to be undertaken lightly, since although the benefits can be great, a company will be ‘confined’ to only the software, solutions, and procedures offered by that supplier. Clinton is a large company with a turnover of 90 million SEK that handles many varied and complex projects, from very large-scale surveys on the ocean to working with extremely shallow depths with complex water columns, and, from experience, no supplier perfectly met all needs out-of-the-box. Moreover, the survey field is constantly evolving, and so the solutions must also constantly evolve – which required a dynamic relationship with the supplier. After evaluation, Clinton chose EIVA as its new single supplier. Clinton was undergoing a rapid expansion in the types of projects they were tackling, and this meant new requirements and new challenges regularly occurring. EIVA’s consistent assistance in making sure deadlines were met was a mark in its favour. EIVA also had a strong software suite in NaviSuite that covers all stages of an offshore/shallow water survey – and furthermore, based on their experience with EIVA’s custom development in the past, Clinton also knew that EIVA could show the same flexibility and dedication in helping to fulfil any unmet needs for Clinton’s projects. During the single supplier decision process, Clinton reached out to EIVA to again explore the possibility of custom developments. With Clinton supplying the requirements and EIVA supplying the development, new custom surfaces were rapidly added to EIVA NaviModel to combat specific challenges that Clinton was facing. Different clients have different requirements for the data to be delivered, and Clinton was working on a project where they needed to provide information about uncertainty in the data. EIVA’s existing tool at the time covered difference, variance and standard deviation in each cell, but it was not exactly what Clinton was looking for. However, with the new custom surfaces, Clinton could design their own formula and solve the task. Other projects undertaken together before and since include tools for squat tables, gap-finding, filtering, and more. A more recently developed tool was a new refraction slide tool, which has saved Clinton a lot of time and effort, and thus saved the end client substantial costs. It has also improved the end product. 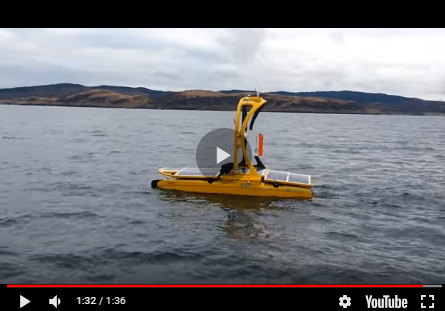 One of the trickiest scenarios in surveying can be ray bending, or working with the path that a sound wave travels from the vessel to the seabed and back again. Based on, among other things, temperature and salinity, the route bends using Snell’s law, or the law of refraction. To do this, you need to ensure that you have measured a sufficient number of sound velocity profiles. If a sufficient number is not reached, a new survey will often need to be made as the profiles change over time. The refraction tool makes avoiding this scenario much simpler, since it gives methods to manipulate the profile to determine if it can be successfully used. Armed with these new tools, Clinton has used NaviSuite for all its projects since the collaboration started, including its recent project surveying the Bratten area in Skagerrack – a survey project over a much larger and deeper area than most in Scandinavian waters. The assignment involved charting a 1206km2 area, and in the process, charting the deepest point in Swedish waters at 560m. This was done quickly and accurately despite bad weather and deep water. The EIVA NaviSuite refraction slide tool helps salvage otherwise insufficient sound velocity profile data by providing methods to compensate.